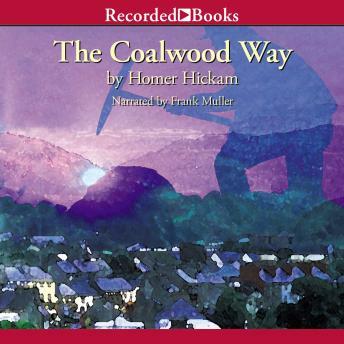 Listen to "The Coalwood Way" on your iOS and Android device. Homer Hickam is the #1 New York Times best-selling author whose life inspired the critically acclaimed film October Sky. In The Coalwood Way he returns to his childhood home of Coalwood, West Virginia for an inspiring memoir about growing up in a town that's slowly fading away. Homer and his close buddies, who call themselves the Rocket Boys, are high school seniors in 1959. Their rocket building experiments amaze the locals, thanks to top-quality moonshine for fuel, "liberated" materials, and Homer's self-taught understanding of higher math. But no matter how brilliant their experiments are, they can do little to help preserve Coalwood's way of life. With the coal mine on its last legs, prospects for the town are unpredictable at best. For anyone who's ever dreamed of greatness or wondered what an uncertain future might bring, this book will seem warmly familiar. Frank Muller's affectionate narration captures both the spirit of ambition and the spectre of gloomy prospects. This is the second Masterpiece from Homer Hickam expanding on his early years before NASA and read by the incomparable Frank Muller.